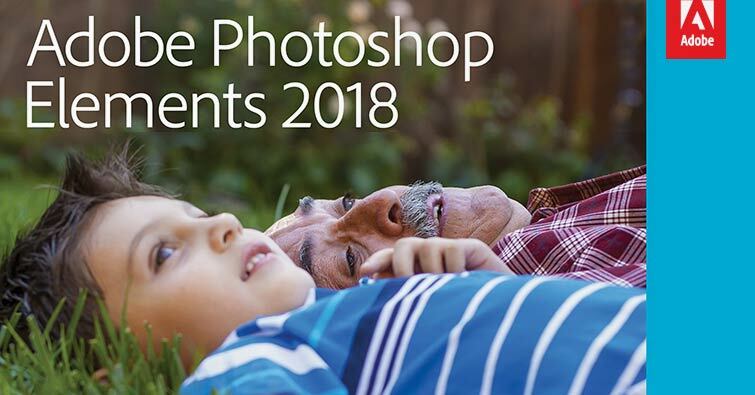 Today Adobe announced its latest rendition of its popular photo editing software, Photoshop Elements 2018. What? Shouldn’t it be called Photoshop Elements 16?! Adobe decided that moving forward Photoshop Elements will be named after the upcoming year of its release in-lieu of a version number, similar to its big brother Photoshop, hence the transition from version 15 to Photoshop Elements 2018. The Editor has one new tool, one new enhancement, and four new guided edits. As is my custom I like to start with my favorite new feature and work my way down from there. This year two new features tied for top spot, so, since I couldn’t decide which one was my favorite, I decided to start with the shear WOW factor of Open Closed Eyes. Seriously, it’s as easy as one click to transfer the eyes from a photo with open eyes to a disappointing photo with closed eyes! You’ll find this new feature in the Enhance menu. Wouldn’t it be nice to select an object or person in a photo instantly with one tool? The new Auto Selection tool (nested with the Quick Selection tool) gets closer to that goal. Click and drag a rectangle around the subject and when you let go of the mouse Photoshop Elements places a selection around it. Does it make a perfect selection? Occasionally, yes. But I found that most often, as with every selection tool, you’ll need to zoom in and refine the edges or remove a selected area that shouldn’t be there. I like starting with Auto Selection to grab the main object. Then I can continue clicking and dragging with Auto Selection to refine the selection, or I might switch to the Quick Selection tool, depending on which one is best for the situation. So, even though it isn’t perfect every time on the first click and drag, it’s a big step forward in making selections a lot easier! I especially like it for selecting thin items like the stem of a cherry or a shoe lace which are difficult to select with the Quick Selection tool. Photoshop Elements 2018 has four new Guided Edits. Guided Edits walk you through complex edits step-by-step to achieve a fun result, so they’re especially helpful for beginners, but they can be a good starting point even for more advanced users. Have a boring (or cluttered) background? Replace it with something a lot more fun! Since it’s October, I chose a spooky background. The video of me switching backgrounds shows a good representation of how to use the Auto Selection tool as well. Turn an ordinary photo into an artistic watercolor! You can choose between a more traditional watercolor look or an abstract painting. This guided edit has some of the nicest watercolor paper overlays I’ve seen! Embellish a photo by choosing a shape to highlight the main subject, and then choose an effect for both the shape and the background. Back in the day we had cameras that sometimes ended up with unintentional double exposures. Now you can mix two photos together intentionally to create an artistic effect. I have to be honest about this one. I couldn’t produce an effect I liked. In my opinion it would be much easier to overlay two photos in the Editor to get an artistic effect and use a gradient to provide some interesting color. Auto Curate, a new option in the upper right of the Organizer desktop, uses Content Intelligence to choose the best photos in any group of photos, based on clarity, lighting, composition, and people. It’s a great starting point when you have tons of photos from a family vacation and want to create a photo book or scrapbook page! Use a slider to choose more or fewer photos. Creating a Slide Show has gotten a lot easier with the new one-click option in Organizer to turn a group of photos into a great slide show! 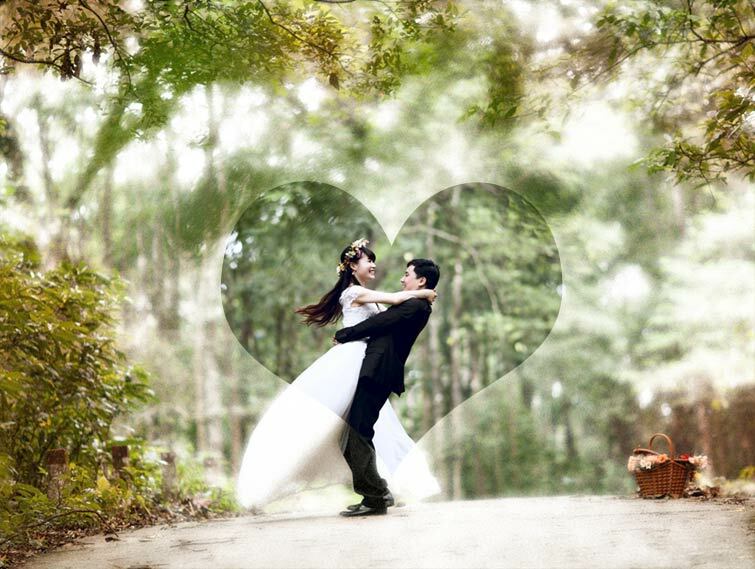 Of course, you’re still in charge and can make any changes you want to the theme or photo arrangement. The biggest question is always, should you upgrade? This version is definitely worth the upgrade, in my opinion. To think…I no longer have to laboriously transfer eyes from one photo to another when a subject has closed eyes. I’m in heaven! But in the end my answer is always—it depends on your needs and wallet. I recommend that you download a free trial of Photoshop Elements 2018 and give it a run. I predict you’re gonna like it! I just purchased the Adobe Photoshop Elements 2018 yesterday 06/22/18 from Home Depot. I was so excited, been working on trying to download this for a couple of hours with no luck. I will enter my Redemption Code, made a note of my serial # but when I clicked on the icon in order to start downloading, nothing happened. Have tried off and on for a couple of hours even switch to a different computer, still no luck. Looking for help. Hi Margaret. I’m so sorry you are having trouble. Have you tried contacting Adobe? Regarding the Organizer, there’s a “Sort By” menu in the bar just above the thumbnails that should solve your problem of scattered files. As far as syncing music on slideshows, I don’t use the slideshow in the Organizer, so my advice is to google it. I’m sure someone else out there has encountered your problem and will have something to say about it! I just got my costco flyer for October and November sale items. No photoshop elements! I’m so disappointed! That is a good question! I just wrote to the person in charge of special markets for Adobe to ask what their plan is for Elements 2018 in stores like Costco. I’ll update this post as soon as I have an answer. Have you heard anything about Costco yet? Still not seeing it referenced online at all… Thanks! I’ve reached out to Adobe and gotten silence back, so we’re as much in the dark as you. I just got the Christmas flyer from Costco in the mail and PSE is conspicuously absent. At this point we have no idea what the plan is on Adobe’s part. Just noticed that Adobe, Amazon, Best Buy, and some others have it on sale for $59. That may be the best price we’ll see on PSE 2018. Are the editing tools still limited to 8 bit images? I mostly do photo restoration of old family photos and would prefer to scan them as 16 bit. I don’t have a complete answer for you. In the System requirements for Windows it says that you need a “Color monitor with 16-bit color graphics adapter.” If you need to know more you’ll need to research online or download the free trial and try it out. I scanned an image with 16 bit color depth. Actually 3×16 = 48 bit. This is the big editing quality difference between Photoshop and Photoshop elements tools. For example, healing brush work better in PS than PSE because there is more image information in 48 bit. Bad news for PSE 2017. It is the same as PSE 15 for 48 bit images. Healing brush does not work. The raw editor does work as 48 bit, but to edit the results back in PSE editor, you have to convert to 24 bit. I’m sorry to hear that. It’s true that PSE is not tricked out as well as the powerful PS version. Have you considered signing up for the base version of Photoshop CC that includes Photoshop CC, Bridge, and Lightroom for $9.99/month? It would give you all the power you need to do the more intricate restoration work on old photos. You can unsubscribe at any time so only activate it during times when you are working on your heritage photos. There’s a trial version (7 days I believe) if you want to give it a whirl. Another option is to purchase an older version of Photoshop—like Photoshop CS6 or CS5. Hi Linda – 18 certainly looks intriguing!! i am wondering if CC will add the new selection tool!? I would like to use organizer more – will your update be available soonish? I would love to see the new selection tool in CC, but I don’t know if and when it will get there! I’m about a week out from having my new training ready. I will be first in line to purchase the new organizer training – can’t wait!! You make everything so simple. The new training has very little about the Organizer in it. It’s mostly about how to use the Editor in Expert mode. I would love to also create training for the Organizer, but that won’t be right away. do not believe the replace closed eyes will work and look right. It would have to be the exact same size, be looking in the exact same direction, have the exact same lighting.Too many must-haves to work. Have you actually tried it? My experience with Open Closed eyes is that it works amazingly well even with eyes looking a different direction. If you view my how-to video called Open Closed Eyes, you can watch me apply three sets of eyes from three different photos to my photo of Charlie. The eyes weren’t all facing the same direction, and two were taken in a totally different location with different lighting. All three photos worked quite well. Because Charlie was wearing glasses I did have to do some minor fixing to the glasses rim, but if you use the method I teach in the video, it’s easy to fix. Open Closed eyes did a much better job than I could have done by hand. Believe me, I’ve done it by hand many times! It’s tedious and time consuming, and doesn’t always come out that well. So give it a try. This was my favorite new feature of this release. It’s almost magic! i went to Costco today and was told that they don’t sell Adobe Photoshop Element (18 ) anymore. Do you know where we can get it at a reduce price? For some years it was reduced by $20 during the month of November. That seems odd. I wonder if they’re out of PSE 15 and the clerk you talked to isn’t knowledgeable about how and when they get the new version in. I can check with my contacts at Adobe about it. My guess is that Costco will have it in stock soon. Thank you for always keeping us up on the latest versions of Photoshop Elements. The time you spend learning the new features and creating the videos for us is so greatly appreciated! I just upgraded to the new Photoshop Elements 2018. When I try to clip a photo to a layer in a template, it says group over in the layers palette, but doesn’t actually group the photo to the layer. Have they changed how Ctrl + G works? Group got changed in the last version when Photoshop Elements got folders. Ctrl G will now create a folder in the Layers panel. These are actually great because you can select a group of related layers and place them into a folder to have a tidier and more manageable Layers panel. The new shortcut for clipping two layers together is Ctrl Alt G in Windows, or choose Layer > Create Clipping Mask. The shortcut is listed there if you forget it. My favorite shortcut for grouping is to Alt click (Mac: Opt click) on the line between the two layers. Neither layer has to be selected to group them this way. Linda, I just bought PhotoShop Elements & Premiere Elements 15, 6 weeks ago. I have installed them but have not even been able to learn enough yet to make my 1st. page. Do I have to purchase the whole thing again in order to get the new features? OMG, What a ripoff! Sooo FRUSTRATED! I tried calling them and received the typical runaround in an accent that made understanding impossible before I was cut off with no phone no. to access the dept that I had been transferred to after almost 30 mins. There must be an easier way. Perhaps a different product. They never let me know that there was a new coming out in just 6 weeks. Of course, I would have waited. What are your thoughts? So sorry to hear about the run-around with Adobe! Customer Service there can be difficult to put it mildly. Usually if you purchase a program within 30 days of the release they will let you upgrade for free, so you may be slightly outside those boundaries. Adobe, along with other software companies, is very careful to never reveal when the next version is coming out, and everyone who is on the Beta testing team is under contract to keep mum as well, but the track record of releases has been steadily the same for years, so that’s something to keep in mind when you’re thinking of getting any software. Look for prior release dates online to see if you can get a clue when the next version will be released. I wish I could give you more helpful info! Traditionally Costco has a sale on PSE for $49 every fall, so that might be an option if you really want to upgrade. I just bought #15. Did you have to pay the full price again? There is an upgrade price of $79 if you own any prior version (normally $99), but see my comment about the Costco sale in your other post. It should be coming up fairly soon, if they follow their usual tradition. Thank you sooo much for the preview in Elements 2018. I will definitely upgrade when it goes on sale! I have two questions. Will you be updating your class about learning PSE to include this new version? Will it cost those who have already paid for the class? I have a favorite addon product that I use all the time called “Nik Software Color Efex Pro 3.0 and Silver Efex Pro. The last version of PE that you can use this product with was PSE 11. I purchased 13, 14, and 15 but they don’t allow these effects to be added. So I always have to use PSE 11 if I want to apply these effects. Do you know anything about this product and how it reacts with version 18? My new training for Photoshop Elements will be completely updated for PSE 2018 and it won’t cost anything for members who have my prior training. It should be out in a week to 10 days. I don’t know anything about how Nik Software will interact with PSE 2018, but if prior versions don’t work with it, then it’s highly unlikely this or any other later version will work with it. But you can always try it and see! When I download .zip files they go automatically to my PSE11 which cannot open them. Can this new version open them? I’m not sure what you mean when you say the zip files go automatically to PSE11. Are you unzipping the files first? Unzipping is done in your computer, not in Photoshop Elements. You need to right click on the zip file and choose Extract (Windows) or double click on the zip file on a Mac to extract the files. Then you can open the files in your specified program. If you did unzip your files first, then your computer may be set to open jpegs and psd files in PSE11. Google how to change this preference for your computer so the files open in your desired program. After using Elements 4 for so many years and knowing all the work arounds, I’ve started having problems with being told not enough memory, have reloaded but still having problems I think it is just the upgrades that microsoft and adobe have been doing, so it looks like it is time to jump right into 18. Yes, I think you’re right. Photoshop Elements 4 was a long time ago! Thanks for your review. I’m so excited about getting it very soon. Do you know if the glitch has been fixed on the “Open Recently Edited File”? After you’ve opened about 20 files (in PSE15), you have to really jump through some major hoops to clear out the cache….a major pain. That glitch fix alone would make it worth my while. I’m afraid I haven’t looked into that. I use Photoshop Elements to teach, but I use Photoshop to do my own work, so the cache issue hasn’t been on my radar. I would suggest that you download the a trial version and check it out. Do let me know what you find! I did download the trial and YAY!!!! They fixed it! 🙂 Definitely, buying it! Thanks, Linda, for your review. Check out this link….this is what I did. It only works for 20 files, then you have to empty the cache again. I still have 14.. still trying to master it. I think it’s time for an upgrade. I thought I was the only one with the problem with the recently edited files and gave up on it! I’m definitely going to upgrade if they fixed it. Before PSE 15 it worked perfectly! Thanks so much for the tutorials for the new PSE. I’ve been certain I would stick with 15 this year and now I’ve changed my mind! Love the new features! I’m glad I was able to help you make a decision! As usual, thank you so much for alerting us to the new version of Photoshop Elements and covering all of the new features for us. One of the annoying features of PSE 15 is that whenever you hit the move tool it covers up the photo bin. Has that been changed? Is there some magic settings where this can be overridden? I must hit the move tool a million times and I have to go down and hit the photo bin button each time to open it. Have you turned off the automatic opening of the Tool Bin? It’s on the far right of the Tool Bin. Open the menu and uncheck “Auto Show Tool Options.” That option has been there for a long time, but it’s easy to miss. Hi Judy—The options you saw were for the Photo Bin. Change to Tool Options and you’ll see what you need to turn off the annoying pop up practice of the Tool Bin. I have Photoshop CC. Are these new features going to be in an upgrade fro Photoshop CC? Awesome new features. Thanks for the demos. Any chance that you know when we can see special pricing, and where? Like Costco or Amazon? The price is just a bit out of my price range right now. Hoping maybe for a Black Friday sale. For the past many years they’ve had a great sale at Costco for $49 sometime in the fall. It’s usually announced in the Costco flyer, if you’re a member. It usually goes on for several weeks, I believe. We’ll try to keep an eye out for it and let everyone know! Thanks! I am a member and will keep an eye on the flyers. Linda, thank you for this review! I wasn’t planning on upgrading but I just might for the open eyes feature! Is the bounding box any darker? I hope so! I don’t know why they made it so light. Sometimes I can’t find it at all. The bounding box is still pretty light. I mostly use the Transform tool when I resize so you might try that. You can use it with any tool, not just the Move tool. Press Ctrl T (Mac: Cmd T) to get the Transform outline that works the same as Show Bounding box. Make your changes, click OK, and it disappears from view. I love it! YES YES YES UPGRADE! i’m with you on the Closed eyes! As always, thanks so much Linda for your review! I love that you do the work for me! To me, the eye transfer in the first image is not effective…she looks cross-eyed to me! Depending on the image you use as the source the eyes will look different directions and some will look more “natural” than others, so try out several “good” eye photos as the source until you’re satisfied with the look. It’s very fast and simple to do. You can upload several photos at a time and click on each one to instantly apply those eyes. It really is like magic! I used to slave over a photo to do that, and then I had to get the skin tone to match as well. This does a pretty good job of matching skin, but if something is slightly off, you can adjust it. Watch the video to see my tip for making adjustments after the fact. To be honest, though, most of the tests I made did so much better than I could have done manually!